Marigolds' Loft: Personalized Gifts This Christmas? As a celebration for the opening of my new store I am offering various weekly specials throughout October. 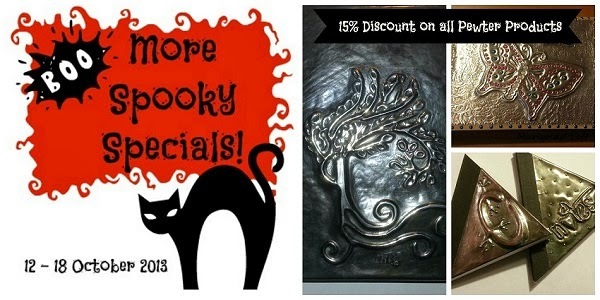 This week - 15% discount on all Pewter Crafts and Products available. All of the Pewter products available can be personalized, a great original gift for any occasion! P.S. If you have been wanting to grab a great Craftsy course, this weekend would be the great time to try! There are some awesome courses for bargain prices up for grabs! You too can become a Craftsy Affiliate - Click HERE to find out how!